1. My favorite thing about this week has been: watching my veggie garden grow! My strawberries are ripening and I have little wee baby tomatoes! YAY! 2. The weather this week has been: Hot and sunny and WONDERFUL! Our summer just started now, about time! 3. The last (interesting) item I received in the mail was: my Happy Mail package from Cassidy, it was full of fun treats and crafts! 5. If I could be doing anything I felt like today I would: be floating in my pool reading a book and working on my tan....le sigh. I wish! 6. As a teenager I was: a lot like I am now. I am returning to my creative roots, I did a lot of art as a teenager to help me cope with some major trauma and I find I am using art to heal and grow once more. 7. I wish I could trade lives for the day with: no one. I am to busy trying to live mine to its fullest potential. Now its time for some photos of my super-awesome-fantastico-all-organic veggie garden! Phew! This was a long post, if you are still here thanks for reading! Your blog and your garden are very beautiful! I also love your salutation - <i>Peace and Pickles!</i> That is funny! Hi, I'm stopping by from New Friend Fridays. I wanted to say hello and share some comment lo♥e. I just became your newest Follower and I would really like it if you would take a minute to check out my blog and follow me, too, if you like what you see. I hope you are having a really wonderful weekend! hello! 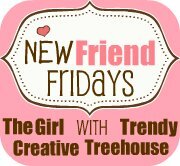 found your blog through new friend friday (on sunday-haha. i would like to say i am EXTREMELY jealous of your garden. i normally have a summer garden as well but we are moving this summer and i really didnt want to put in the work and have no "fruits" for my labor. :( i also love your pictures. I love all of these pictures (and your music choices - very diverse tastes here, too). You have such a FAB blog! Happy to have found it!